1942. Furnace Type PR 40. Exhibit at Launceston Museum, Tasmania. 1942. Furnace Type PR 40. (Detail). Exhibit at Launceston Museum, Tasmania. 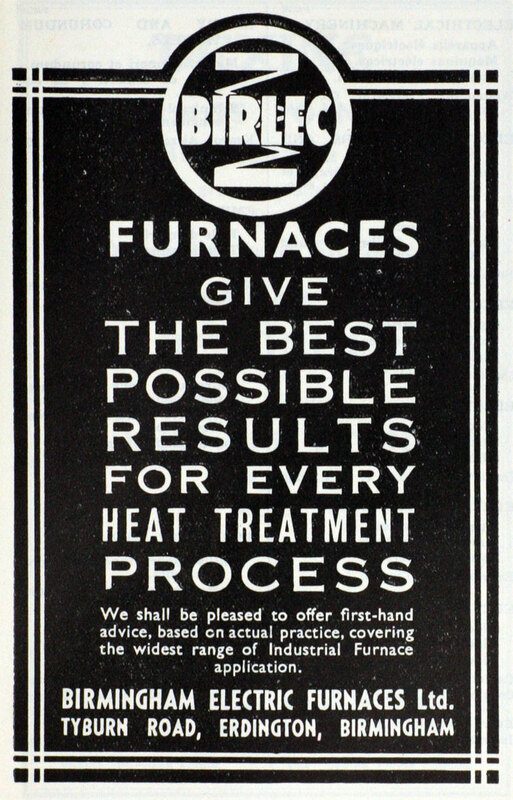 1937 Electric heat-treatment and melting furnaces. "Birlec-Detroit" and "Birlet-Lectromelt" Melting Furnaces. "Brytreat" Annealing Furnaces. 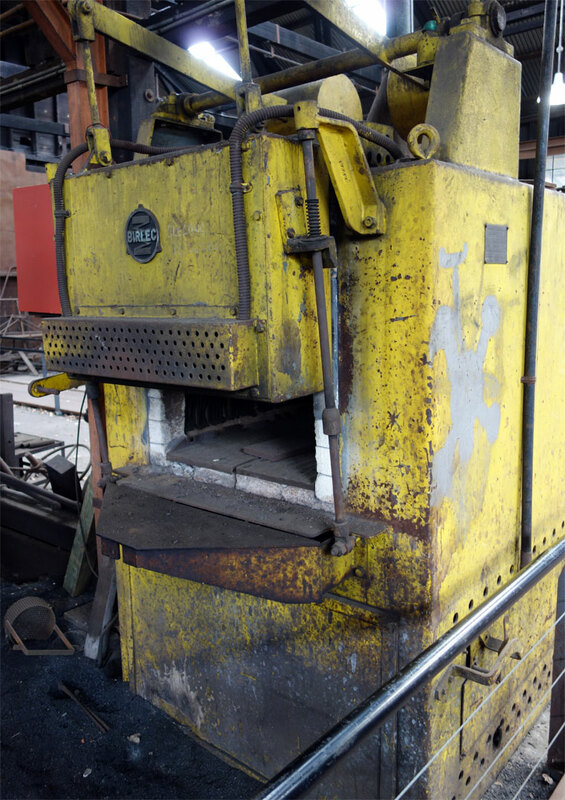 "Certain-Curtain" Hardening Furnaces. "Duplex" Nitriding Furnaces. 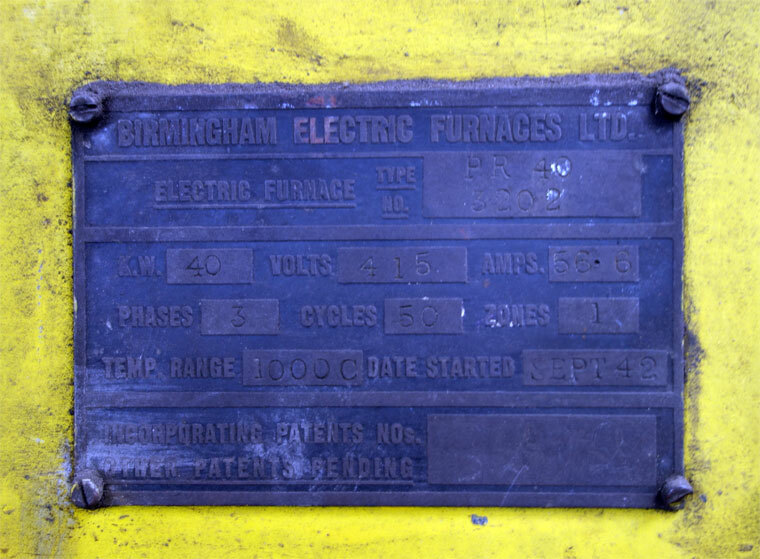 1940 Birlec electric and gas-fired furnaces. This page was last edited on 12 June 2014, at 15:15.